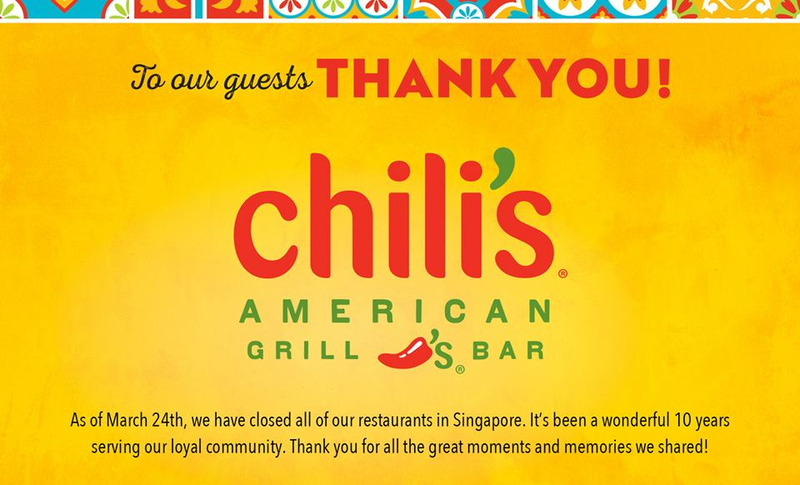 American restaurant Chilis close down??? I'm more upset with Tony Roma's closing operations in Sinkieland. 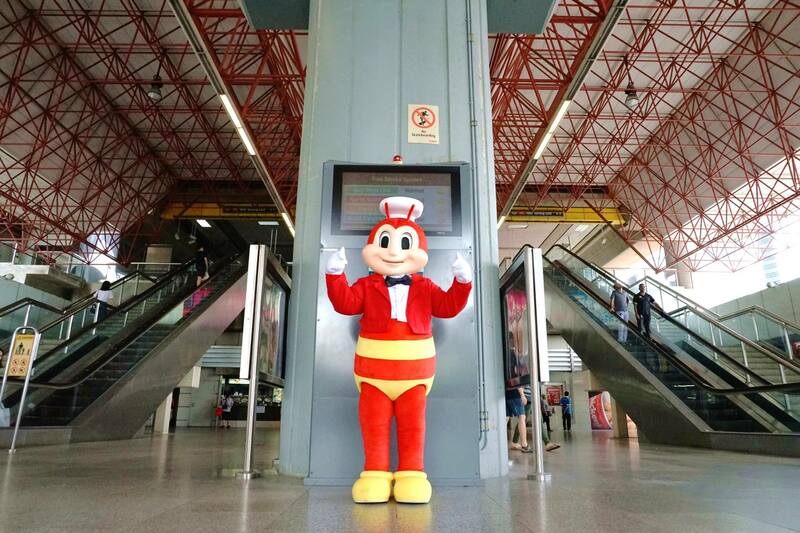 It was one of the anchor tenants back in the day when Suntec City was newly opened. And it outlasted Carrefour. our outlets have ceased operations with effect on 1st February 2019. We would like to thank you for your support over the past 25 years. Looking forward to the opportunity of serving you again. Probably another one done in by the escalating rents. Let's hope more sinkies choose to cook their own more often...its good all these establishments are done in by high rentals, no point for them to struggle and transfer the costs to the customers.. I waiting maybe Kenny Rogers is next. Kenny Rogers BBQ ayam is very popular in Malaysia. Lots of outlets. Kenny Rogers Singapore halah ? Kenny Roger is a great chicken joint. Even 6billion Co. Taco bell cannot survive here. Nsndo's Peri peri chicken from south africa also doing ok in jiu hu. All the closing of these outlets will have no effect on the biggest landlord of all-the Singapore govt via its many property arms eg CapitaLand, Keppel Land ect2 and neither will the losing of billions by investors in Hyflux ect2. This is call the no blame culture, i.e no blame the PAP but even a hint of criticising its leaders and you see what happens ! Even Temasek lost billions can be explained in 3 words "long term investments". Only way to change it appears is thru the ballot boxes but even that,...……. These eateries can easily bypass the high rentals by going to cheaper locations with access to parking. With deliveroo and grab food, they can be based in Sungei Kadut and still make it. The nachos should be ok no? Nothing beats this for the Pinoys. I find it ironic that setting up a cheap,low overhead van in central London and charging 6 pounds for duck rice is a viable concern than running a whole rest in Singapore.